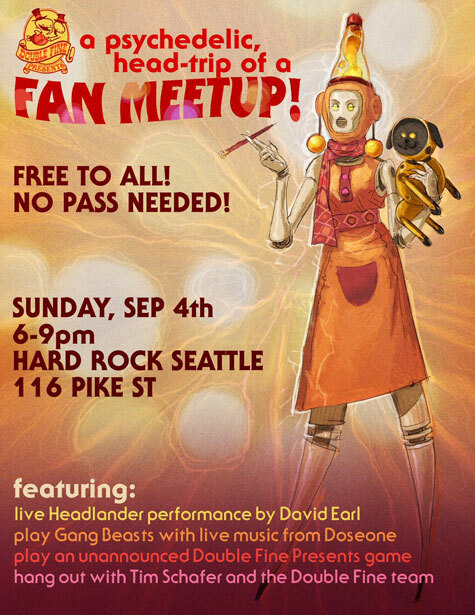 I'll be playing music from the Headlander score LIVE at Hard Rock Seattle on Sunday September 4! I'll also be at PAX West with Double Fine - click here to see what we'll be up to at Booth 106! In case you're not there in person, here's some footage from the Double Fine Action Show - Headlander Launch. We talked about the making of the game, how I approached the score, and what inspired the music. Plus a little live performance.